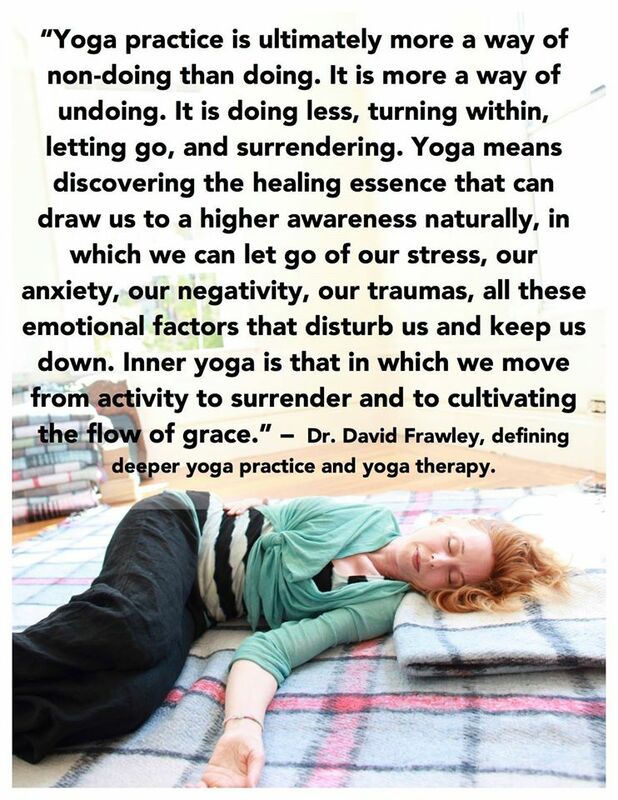 Blissitude Yoga - Become empowered and learn how to unwind, destress, relax, and reduce aches and pains. Want to live with more ease? Feeling tired? Got aches and pains? Would you like to move with more ease? Would you like to have some time just for yourself to relax, unwind, and find some peace? Continue reading to find out more about this healing and trans-formative yoga. Sign up for a Semi-Private Class. "I would highly recommend Blissitude Yoga! It is different than any other yoga I've done in the past. Nancy walked me through each movement and made any adjustments necessary to get the full affect of exercise. I noticed, right away, my lower back was being stretched and pain went away altogether. My sleeping improved as well. I'm not sure how to explain it but doing Therapeutic Spinal Release Yoga made me feel peaceful and had more self awareness. It is hard to explain until you do this kind of yoga. I love it and highly recommend it. Nancy's guidance through the exercises was very soothing and relaxing. I would have sworn I had just had a 2 hour massage. " Welcome to Blissitude Yoga in DFW, North Dallas, Texas area. At Blissitude Yoga, Therapeutic Spinal Release Yoga is taught by Nancy Nurmi. This is a unique, compassionate style of classic Hatha yoga that utilizes precise alignments, props-soft blankets and gentle adjustments (if needed) designed to lead you gently into a new relationship with your body and your mind from the inside out. It uses the principal of Core release or spinal decompression to unravel deep-seated layers of tension, to help restore and rejuvenate both your body and mind. It not only creates physical changes like strength, energy and flexibility but also helps you heal, transform, reduce stress, find more peace and calm in both your body and mind. This is a non-athletic form of practice that uses the body compassionately and purposefully to open your body to your true self within by becoming embodied. No sweating, no need to be super bendy or flexible, and no need to be perfect. Just bring your imperfectly perfect self to class. I offer Private Sessions, Yoga Classes and Customized Semi-Private Classes of 3-5 people. Contact me by email, text or voice message. Click the link below to sign up.